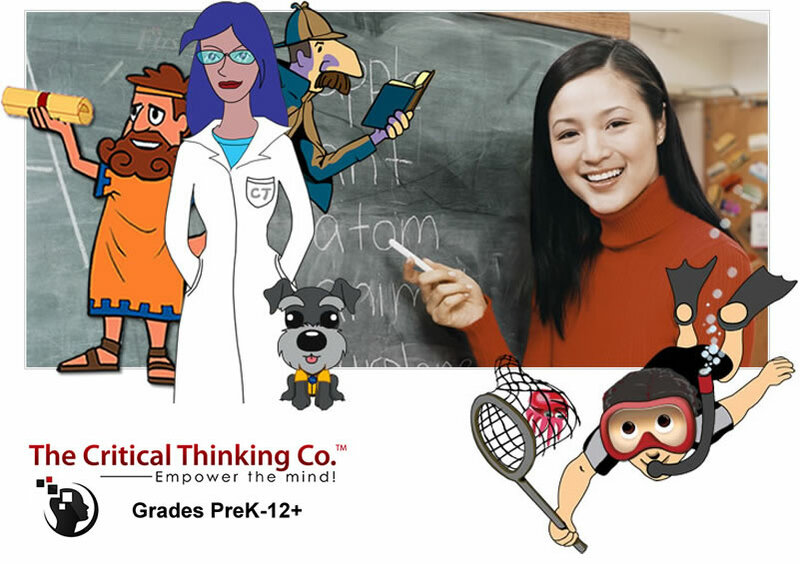 The Critical Thinking Co.™ (TCTC) is actively seeking international licensees to translate and distribute its award-winning educational products. Exclusive and non-exclusive territorial license rights are available. Your company must have a minimum of two years experience in manufacturing or distribution. Your company must be a manufacturer, not a middleman or distributor. Your company must have two years prior experience in the product category being proposed. E-mail submissions to marketing(at)criticalthinking(dot)com or fax to 541-756-1758. If a category is not listed that you would like to propose, please let us know. Please note, it is The Critical Thinking Co.'s™ (TCTC) policy not to accept unsolicited submissions of creative ideas or materials. Accordingly, when you send us information about your company, do NOT include confidential or proprietary information, such as product concepts, designs, stories, ideas, screenplays, original artwork, or other original creative materials or suggestions. By not accepting any such unsolicited confidential or proprietary information, TCTC seeks to avoid possible future misunderstandings when products developed by our own employees or licensees might seem to others to be similar to their own creative work. You acknowledge and agree that TCTC at all times has many products and projects in various stages of development, and that the results of these endeavors may be similar or identical to your own products or projects. If you ignore TCTC's policy and submit any creative suggestions, ideas, notes, drawings, concepts, designs, stories, screenplays, original artwork, or other information (collectively, "Unsolicited Submissions"), you hereby assign to TCTC all rights of every nature and description, in perpetuity, throughout the Universe, in and to such Unsolicited Submissions. The Unsolicited Submissions shall be deemed, and shall remain, the property of TCTC. None of the Unsolicited Submissions shall be subject to any obligation of confidence on TCTC's part and TCTC shall not be liable for any use or disclosure of any Unsolicited Submissions. Without limitation of the foregoing, TCTC shall exclusively own all now-known and hereafter existing rights to the Unsolicited Submissions of every kind and nature, throughout the Universe, and shall be entitled to unrestricted use of the Unsolicited Submissions for any purpose whatsoever, commercial or otherwise, without compensation of any kind to the provider of the Unsolicited Submissions.